When you think of Atlanta, what do you think of? Tall buildings? The Braves? Coca-Cola? The traffic?!? What about the trees? If the trees weren’t one of the first things you thought of, maybe you should look again! After all, we aren’t nicknamed “city in a forest” for nothing! 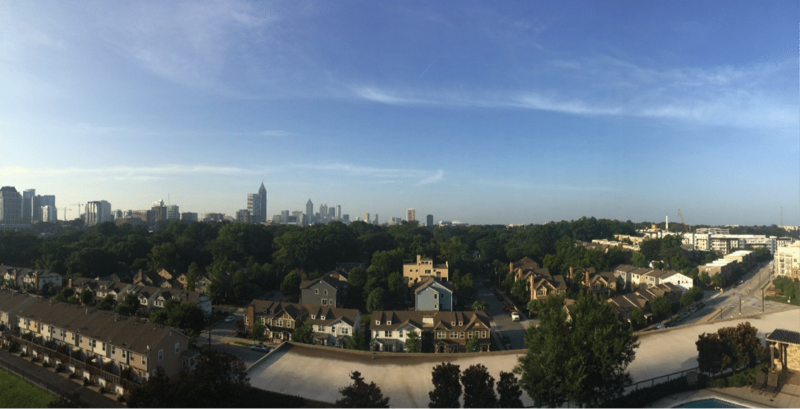 In fact, Atlanta’s tree coverage is 36% which is among the highest of all major US cities and above the national average of 27%! One of Atlanta’s favorite festivals, The Dogwood Festival, is you guessed it, named after a tree. One of our most popular streets, yep! Peachtree Street. You simply can’t go anywhere in the city and not see trees! Our most well-known species are Magnolias, Dogwoods, Southern Pines, and Oak Trees. The state of Georgia has over 250 different species of trees. At Piedmont Park, our most well-known green space, there are over 115 different tree species alone! Including a few of Atlanta’s 300 “champion trees”. A “champion tree” is based on the measurements of it trunk circumference, the height, and the average spread of the crown. It’s basically a big tree competition! The next time you are outside, take a look at all of the trees! If you decide you ready to branch out to a new neck of the woods and have been stumped on your own home search, let The Peters Company go out on a limb for you! ← Just Listed :: Gorgeous Brick Traditional in East Cobb!